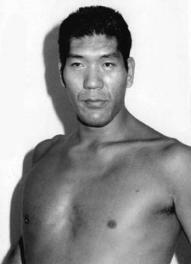 - JWA Kawasaki Stadium (June 18, '66) = Giant Baba defeated Don Chuy. - JWA Budokan Hall (December 3, '66) = Baba stayed the NWA International Champion, winning a "Three Falls" Match, via DQ, over Fritz von Erich. - JWA Kawasaki Stadium (July 22, '67) = Baba & Antonio Inoki kept the JWA All Asian Tag-Team Titles, winning a "Three Falls" Match over Art Mahilik & Jesse Ortega. - JWA Osaka Stadium (August 14, '67) = Baba, as the NWA International Champion, fought to a 65-Minute Draw with the NWA World Heavyweight Champion, Gene Kiniski. - JWA Sumo Hall (November 1, '67) = Baba retained the NWA International Heavyweight Title, winning a "Three Falls" Match over Tarzan Tyler. - JWA Sumo Hall (June 27, '68) = Baba won the NWA International Heavyweight Title, winning a "Three Falls" Match over Bobo Brazil. - JWA Sumo Hall (December 6, '68) = Baba stayed the NWA International Champion, winning a "Three Falls" Match over Gene Kiniski. - JWA Sumo Hall (January '69) = Baba & Antonio Inoki kept the NWA International Tag-Team Titles, fighting to a Draw with Danny Hodge & Wilbur Snyder. - JWA Kawasaki Stadium (July 1, '69) = Baba & Michiaki Yoshimura won a "Three Falls" Match over Freddie Blassie & Kurt von Stroheim. - JWA Sumo Hall (November 28, '69) = Baba & Antonio Inoki fought to a 60-Minute Draw in a "Three Falls" Match against Dory Funk Jr & Danny Hodge. - JWA 1st Annual NWA Tag-Team League (September/November '70) = Baba & Mitsu Hirai competed in the league, which was won by Kantaro Hoshino & Antonio Inoki. - JWA 2nd Annual NWA Tag-Team League (September/November '71) = Baba & Michiaki Yoshimura competed in the league, which was won by Antonio Inoki & Seiji Sakaguchi. - AJPW Champion Carnival '73 (March/April) = Baba took down Calypso Hurricane, Curtis Iaukea, and Mark Lewin to win the tournament. - AJPW Sumo Hall (October 9, '73) = Baba & Jumbo Tsuruta, as the NWA International Tag-Team Champions, fought to a 60-Minute Draw in a "Three Falls" Match against Dory Funk Jr & Terry Funk. - AJPW Champion Carnival '74 (April/May) = Baba beat Curtis Iaukea, Mark Lewin, and Mr. Wrestling to win the tournament. - AJPW Sumo Hall (August 9, '74) = Baba stayed the PWF Heavyweight Champ, winning a "Three Falls" Match over Terry Funk. - AJPW Champion Carnival '75 (April/May) = Baba defeated Mark Lewin and Killer Kowalski to reach the final four, then won the "Round Robin" series over Gene Kiniski, Mr. Wrestling, and the Destroyer to win the tournament. - AJPW Sumo Hall (October 30, '75) = Baba kept the PWF Heavyweight Title, pinning Kintaro Oki. - AJPW Budokan Hall (December 11, '75) = Baba & the Destroyer beat Dory Funk Jr & Jumbo Tsuruta. - AJPW Open Championship (December '75) = Baba won the league. - AJPW Champion Carnival '76 (April/May) = Baba lost in the finals, via DQ, to Abdullah the Butcher. - AJPW Sumo Hall (October 28, '76) = Baba & Jumbo Tsuruta lost the NWA International Tag-Team Titles to Kim Duk & Kintaro Oki. - AJPW Champion Carnival '77 (April/May) = Baba won, via DQ, over Abdullah the Butcher, then pinned Jumbo Tsuruta to win the league. - AJPW Open Tag League '77 (December) = Baba & Jumbo Tsuruta competed in the league, which was won by Dory Funk Jr & Terry Funk. - AJPW Champion Carnival '78 (March/April) = Baba won in the finals, via Countout, over Abdullah the Butcher to win the league. - Tokyo Sports All-Star Dream Card (August 26, '78) = Baba & Antonio Inoki beat Tiger Jeet Singh & Abdullah the Butcher. - AJPW Sumo Hall (December 9, '78) = Baba & Jumbo Tsuruta defeated Nick Bockwinkel & Blackjack Lanza. - AJPW Real World Tag League '78 (December) = Baba & Jumbo Tsuruta won the league. - AJPW Champion Carnival '79 (March/April) = Baba competed in the league, which was won by Abdullah the Butcher. - AJPW Real World Tag League '79 (November/December) = Baba & Jumbo Tsuruta competed in the league, which was won by Dory Funk Jr & Terry Funk. - AJPW Sumo Hall (December 13, '79) = Baba & Jumbo Tsuruta won over Dos Caras & Mil Mascaras. - AJPW Champion Carnival '80 (March/May) = Baba competed in the league, which was won by Jumbo Tsuruta. - AJPW Real World Tag League '80 (November/December) = Baba & Jumbo Tsuruta won, via Countout, over Dory Funk Jr & Terry Funk to win the league. - AJPW Champion Carnival '81 (March/April) = Baba won the league. - NWA International Heavyweight Title Tournament (April '81) = Baba beat Terry Funk, then fell to Bruiser Brody. Dory Funk Jr won the tournament. - AJPW Sumo Hall (October 9, '81) = Baba & Bruno Sammartino defeated Tiger Jeet Singh & Umanosuke Ueda. - AJPW Real World Tag League '81 (November/December) = Baba & Jumbo Tsuruta competed in the league, which was won by Bruiser Brody & Jimmy Snuka. - AJPW Sumo Hall (December 13, '81) = Baba & Jumbo Tsuruta fought to a Double Countout with Tiger Jeet Singh & Professor Ito. - AJPW Champion Carnival '82 (March/April) = Baba won the league. - AJPW Real World Tag League '82 (November/December) = Baba & Jumbo Tsuruta competed in the league, which was won by Dory Funk Jr & Terry Funk. - AJPW Sumo Hall (June 8, '83) = Baba fought to a Double Disqualification with Bruiser Brody. - WCCW Wrestling Star Wars (June 17, '83) = Baba retained the AJPW PWF Heavyweight Title, pinning King Kong Bundy. - AJPW Real World Tag League '83 (November/December) = Baba & Dory Funk Jr competed in the league, which was won by Bruiser Brody & Stan Hansen. - AJPW Sumo Hall (December 12, '83) = Baba & Dory Funk Jr took down Tiger Jeet Singh & Professor Ito. - AJPW Sumo Hall (March 24, '84) = Baba lost, via DQ, to the PWF Heavyweight Champion, Stan Hansen. - AJPW PWF Tag-Team Titles League (April '84) = Baba & Dory Funk Jr competed in the league, which was won by Bruiser Brody & Stan Hansen. - AJPW Sumo Hall (July 31, '84) = Baba won the PWF Heavyweight Title, pinning Stan Hansen. - AJPW Real World Tag League '84 (November/December) = Baba & Rusher Kimura competed in the league, which was won by Genichiro Tenryu & Jumbo Tsuruta. - AJPW Sumo Hall (March 9, '85) = Baba, Takashi Ishikawa, & Mighty Inoue beat Ryuma Go, Rusher Kimura, & Goro Tsurumi. - AJPW Budokan Hall (June 21, '85) = Baba retained the PWF Heavyweight Title, taking down Rusher Kimura. - AJPW Sumo Hall (August 31, '85) = Baba & Takashi Ishikawa fell to Tim Brooks & Tiger Jeet Singh. - AWA SuperClash I (September 28, '85) = Baba, Genichiro Tenryu, & Jumbo Tsuruta beat Bill Irwin, Scott Irwin, & Harley Race. - AJPW 13th Anniversary Show (October 21, '85) = Baba, Mighty Inoue, & Takashi Ishikawa won over Ashura Hara, Rusher Kimura, & Goro Tsurumi. - AJPW Real World Tag League '85 (November/December) = Baba & Dory Funk Jr competed in the league, which was won by Ted DiBiase & Stan Hansen. - AJPW Budokan Hall (December 12, '85) = Baba & Dory Funk Jr fought to a 30-Minute Draw with Genichiro Tenryu & Jumbo Tsuruta. - AJPW Budokan Hall (March 13, '86) = Baba, Motoshi Okuma, & the Great Kojika defeated Ashura Hara, Rusher Kimura, & Goro Tsurumi. - NWA 1st Annual Jim Crockett Sr Memorial Tag-Team Tournament Cup (April 19, '86) = Baba & Tiger Mask beat Black Bart & Jimmy Garvin, then fell to Ronnie Garvin & Magnum TA. The Road Warriors won the tournament. - AWA WrestleRock (April 20, '86) = Baba pinned Bob Brown. - AJPW Budokan Hall (June 12, '86) = Baba won over Rusher Kimura. - AJPW Budokan Hall (July 31, '86) = Baba, Takashi Ishikawa, & Motoshi Okuma fell to Ashura Hara, Rusher Kimura, & Goro Tsurumi. - AJPW 14th Anniversary Show (October 21, '86) = Baba & Genichiro Tenryu won, via DQ, over the Road Warriors. - AJPW Real World Tag League '86 (November/December) = Baba & Tiger Mask competed in the league, which was won by Genichiro Tenryu & Jumbo Tsuruta. - AJPW Budokan Hall (December 12, '86) = Baba & Hiroshi Wajima took down the Can-Am Connection. - AJPW Budokan Hall (March 12, '87) = Baba, Takashi Ishikawa, & Tiger Mask beat Ashura Hara, Rusher Kimura, & Goro Tsurumi. - NWA 2nd Annual Jim Crockett Sr Memorial Tag-Team Tournament Cup (April '87) = Baba & Isao Takagi took down Denny Brown & Chris Champion and won, via forfeit, over the Rock-n-Roll Express, before losing to Tully Blanchard & Lex Luger. Nikita Koloff & Dusty Rhodes won the tournament. - AJPW Budokan Hall (June 9, '87) = Baba defeated Raja Lion. - AJPW Budokan Hall (August 31, '87) = Baba & Tiger Mask won over Takashi Ishikawa & Hiroshi Wajima. - AJPW Budokan Hall (October 6, '87) = Baba, John Tenta, & Hiroshi Wajima took down Rusher Kimura, Tiger Jeet Singh, & Goro Tsurumi. - AJPW Real World Tag League '87 (November/December) = Baba & Hiroshi Wajima competed in the league, which was won by Jumbo Tsuruta & Yoshiaki Yatsu. - AJPW Budokan Hall (December 11, '87) = Baba & Hiroshi Wajima won over Abdullah the Butcher & TNT. - AJPW Budokan Hall (March 27, '88) = Baba & Hiroshi Wajima beat Rusher Kimura & Goro Tsurumi. - Ikki Kajiwara Memorial Show (April 2, '88) = Baba & Tiger Mask took down George Skaaland & Abdullah the Butcher. - AJPW Budokan Hall (June 10, '88) = Baba & Hiroshi Wajima defeated Jimmy Jack Funk & Tiger Jeet Singh. - AJPW Bruiser Brody Memorial Show (August 29, '88) = Baba pinned Rusher Kimura. - AJPW Real World Tag League '88 (November/December) = Baba & Rusher Kimura competed in the league, which was won by Terry Gordy & Stan Hansen. - AJPW Budokan Hall (December 16, '88) = Baba, Rusher Kimura, & Kenta Kobashi defeated Shinichi Nakano, Akira Taue, & Takagi. - AJPW Budokan Hall (March 9, '89) = Baba & Rusher Kimura won, via Countout, over Abdullah the Butcher & Kamala. - AJPW Budokan Hall (June 5, '89) = Baba, Rusher Kimura, & the Great Kabuki beat Haruka Eigan, Masa Fuchi, & Motoshi Okuma. - AJPW Budokan Hall (September 2, '89) = Baba pinned Abdullah the Butcher. - AJPW Real World Tag League '89 (November/December) = Baba & Rusher Kimura competed in the league, which was won by Stan Hansen & Genichiro Tenryu. - AJPW Budokan Hall (December 6, '89) = Baba & Rusher Kimura took down Samson Fuyuki & Toshiaki Kawada. - AJPW Budokan Hall (March 6, '90) = Baba, Shinichi Nakano, & the Great Kabuki beat Joel Deaton, Doug Furnas, & Dan Kroffat. - AJPW Japan/US Summit (April 13, '90) = Baba & Andre the Giant defeated Demolition (Axe & Smash). - AJPW Budokan Hall (June 8, '90) = Baba, Rusher Kimura, & the Great Kabuki won over Haruka Eigan, Masa Fuchi, & Motoshi Okuma. - AJPW Budokan Hall (September 1, '90) = Baba, Rusher Kimura, & Akira Taue took down Haruka Eigan, Masa Fuchi, & Motoshi Okuma. - AJPW Real World Tag League '90 (November/December) = Baba & Andre the Giant competed in the league, which was won by Terry Gordy & Steve Williams. - AJPW Budokan Hall (June 1, '91) = Baba, Masa Fuchi, & Rusher Kimura beat Abdullah the Butcher, Giant Kimala I, & Giant Kimala II. - AJPW Budokan Hall (September 4, '91) = Baba & Rusher Kimura took down Mighty Inoue & Ismu Teranishi. - AJPW Real World Tag League '91 (November/December) = Baba & Andre the Giant competed in the league, which was won by Terry Gordy & Steve Williams. - AJPW Budokan Hall (December 6, '91) = Baba & Andre the Giant won over Abdullah the Butcher & Giant Kimala II. - AJPW Budokan Hall (March 4, '92) = Baba, Dory Funk Jr, & Andre the Giant defeated Toshiaki Kawada, Tsuyoshi Kikuchi, & Kenta Kobashi. - AJPW Budokan Hall (June 5, '92) = Baba, Ryukaku Izumida, & Rusher Kimura beat Haruka Eigan, Masa Fuchi, & Motoshi Okuma. - AJPW Budokan Hall (August 2, '92) = Baba, Satoru Asako, & Rusher Kimura fell to Haruka Eigan, Masa Fuchi, & Motoshi Okuma. - AJPW 20th Anniversary Show (October 21, '92) = Baba, Dory Funk Jr, & Stan Hansen lost to Terry Gordy, Jumbo Tsuruta, & Andre the Giant. - AJPW Real World Tag League '92 (November/December) = Baba & Kenta Kobashi competed in the league, which was won by Toshiaki Kawada & Mitsu Misawa. - AJPW Budokan Hall (December 4, '92) = Baba, Rusher Kimura, & Andre the Giant defeated Haruka Eigan, Masa Fuchi, & Motoshi Okuma. - AJPW Budokan Hall (February 28, '93) = Baba, Rusher Kimura, & Yoshinori Ogawa took down Satoru Asako, Haruka Eigan, & Ryukaku Izumida. - AJPW Budokan Hall (June 1, '93) = Baba, Mighty Inoue, & Rusher Kimura beat Haruka Eigan, Masa Fuchi, & Abdullah the Butcher. - AJPW Budokan Hall (July 29, '93) = Baba, Kurt Beyer, & the Destroyer won over Haruka Eigan, Masa Fuchi, & Masao Inoue. - AJPW Budokan Hall (September 3, '93) = Baba, Rusher Kimura, & Mitsuo Momota defeated Joel Deaton, Haruka Eigan, & Ryukaku Izumida. - AJPW 21st Anniversary Show (October 23, '93) = Baba, Rusher Kimura, & Jumbo Tsuruta beat Haruka Eigan, Masa Fuchi, & Ryukaku Izumida. - AJPW Real World Tag League '93 (November/December) = Baba & Stan Hansen competed in the league, which was won by Kenta Kobashi & Mitsu Misawa. - AJPW Budokan Hall (December 3, '93) = Baba & Stan Hansen took down Bubba Rogers & Steve Williams. - AJPW Budokan Hall (March 5, '94) = Baba & Stan Hansen fell to Kenta Kobashi & Mitsu Misawa. - AJPW Budokan Hall (April 16, '94) = Baba, Stan Hansen, & Takao Omori lost to Jun Akiyama, Kenta Kobashi, & Mitsu Misawa. - AJPW Budokan Hall (June 3, '94) = Baba, Rusher Kimura, & Mitsuo Momota defeated Haruka Eigan, Masa Fuchi, & Mighty Inoue. - AJPW Budokan Hall (July 28, '94) = Baba, Tsuyoshi Kikuchi, & Kenta Kobashi were beaten by Masa Fuchi, Toshiaki Kawada, & Akira Taue. - AJPW Budokan Hall (September 3, '94) = Baba, Tamon Honda, & Mitsu Misawa won over Toshiaki Kawada, Takao Omori, & Akira Taue. - AJPW 22nd Anniversary Show (October 22, '94) = Baba, Dory Funk Jr, & Jumbo Tsuruta took down Johnny Smith, Tom Zenk, & the Eagle. - AJPW Real World Tag League '94 (November/December) = Baba & Stan Hansen competed in the league, which was won by Kenta Kobashi & Mitsu Misawa. - AJPW Budokan Hall (December 10, '94) = Baba & Stan Hansen defeated Toshiaki Kawada & Akira Taue. - AJPW Budokan Hall (March 4, '95) = Baba, Jun Akiyama, & Jumbo Tsuruta beat Masa Fuchi, Masao Inoue, & Akira Taue. - AJPW Budokan Hall (April 15, '95) = Baba, Yoshinori Ogawa, & Kentaro Shiga fell to Doug Furnas, Dan Kroffat, & the Eagle. - AJPW Budokan Hall (June 9, '95) = Baba, Rusher Kimura, & Abdullah the Butcher defeated Haruka Eigan, Masa Fuchi, & Ryukaku Izumida. - AJPW Budokan Hall (September 10, '95) = Baba, Masa Fuchi, Toshiaki Kawada, & Abdullah the Butcher won a "Tag Team Survival" Match over Jun Akiyama, Stan Hansen, Kenta Kobashi, & Takao Omori. - AJPW 23rd Anniversary Show (October 25, '95) = Baba, Stan Hansen, & Jumbo Tsuruta beat Tamon Honda, Takao Omori, & Akira Taue. - AJPW Real World Tag League '95 (November/December) = Baba & Tamon Honda competed in the league, which was won by Toshiaki Kawada & Akira Taue. - AJPW Budokan Hall (December 9, '95) = Baba, Dory Funk Jr, & Stan Hansen defeated Jun Akiyama, Ryukaku Izumida, & Takao Omori. - AJPW Budokan Hall (March 2, '96) = Baba & Haruka Eigan took down Abdullah the Butcher & Giant Kimala II. - AJPW Budokan Hall (April 20, '96) = Baba, Satoru Asako, & Kentaro Shiga were beaten by Masa Fuchi, Masao Inoue, & Yoshinori Ogawa. - AJPW Budokan Hall (June 7, '96) = Baba, Yoshinori Ogawa, & Jumbo Tsuruta won over Tamon Honda, Ryukaku Izumida, & Takao Omori. - AJPW Budokan Hall (July 24, '96) = Baba, Ryukaku Izumida, & Giant Kimala II fell to Jun Akiyama, Tamon Honda, & Mitsu Misawa. - AJPW Budokan Hall (September 5, '96) = Baba, Satoru Asako, & Masao Inoue lost to Jun Izumida, Dan Kroffat, & Giant Kimala II. - AJPW 24th Anniversary Show (October 18, '96) = Baba, Dory Funk Jr, & Akira Taue defeated Jun Akiyama, Mitsu Misawa, & Jumbo Tsuruta. - AJPW Budokan Hall (March 1, '97) = Baba, Masa Fuchi, & Takao Omori were taken down by Tamon Honda, Jun Izumida, & Giant Kimala II. - AJPW Budokan Hall (December 6, '96) = Baba, Rusher Kimura, & Mitsuo Momota were beaten by Haruka Eigan, Masa Fuchi, & Mighty Inoue. - AJPW Budokan Hall (April 19, '97) = Baba, Rusher Kimura, & Mitsuo Momota lost to Haruka Eigan, Masa Fuchi, & Giant Kimala II. - AJPW Budokan Hall (June 6, '97) = Baba, Rusher Kimura, & Mitsuo Momota won over Haruka Eigan, Masa Fuchi, & Masao Inoue. - AJPW Budokan Hall (July 25, '97) = Baba, Rusher Kimura, & Mitsuo Momota were beaten by Haruka Eigan, Masa Fuchi, & Masao Inoue. - AJPW Budokan Hall (September 6, '97) = Baba, Rusher Kimura, & Mitsuo Momota defeated Haruka Eigan, Masa Fuchi, & Masao Inoue. - AJPW 25th Anniversary Show (October 21, '97) = Baba, Stan Hansen, & Jumbo Tsuruta beat Masa Fuchi, Tamon Honda, & Kimala II. - AJPW Budokan Hall (December 5, '97) = Baba, Rusher Kimura, & Mitsuo Momota won over Haruka Eigan, Masa Fuchi, & Tsuyoshi Kikuchi. - AJPW Budokan Hall (February 28, '98) = Baba, Rusher Kimura, & Mitsuo Momota fell to Haruka Eigan, Masa Fuchi, & Tsuyoshi Kikuchi. - AJPW Showdown At The Egg (May 1, '98) = Baba, Kentaro Shiga, & Hayabusa defeated Jun Izumida, Jinsei Shinzaki, & Kamala II. - AJPW Budokan Hall (April 18, '98) = Baba, Rusher Kimura, & Mitso Momota lost to Haruka Eigan, Masa Fuchi, & Jun Izumida. - AJPW Budokan Hall (June 12, '98) = Baba, Rusher Kimura, & Mitsuo Momota took down Haruka Eigan, Masa Fuchi, & Jun Izumida. - AJPW Budokan Hall (July 24, '98) = Baba, Rusher Kimura, & Mitsuo Momota were beaten by Haruka Eigan, Masa Fuchi, & Tsuyoshi Kikuchi. - AJPW Budokan Hall (September 11, '98) = Baba, Rusher Kimura, & Jumbo Tsuruta won over Haruka Eigan, Masa Fuchi, & Tsuyoshi Kikuchi. - AJPW 26th Anniversary Show (October 31, '98) = Baba, Masanichi Marufuji, & Jinsei Shinzaki defeated Yoshinobu Kanemura, Gedo, & Jado. - AJPW Budokan Hall (December 5, '98) = Baba, Rusher Kimura, & Mitsuo Momota beat Haruka Eigan, Masa Fuchi, & Tsuyoshi Kikuchi.